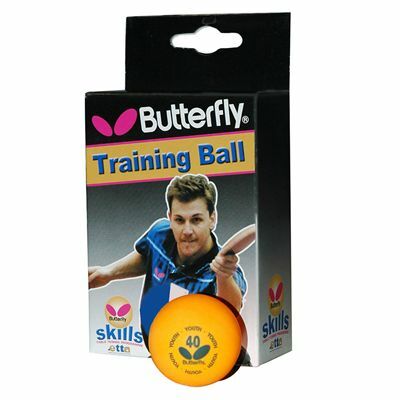 The Butterfly Skills table tennis balls (box of 6) are perfect for school and recreational use. They have a gauge of 40mm to meet the International Table Tennis Federation (ITTF) requirements. These extra hard orange balls are suitable for coaching at all levels and deliver a light and bouncy feel. for submitting product information about Butterfly Skills Table Tennis Balls - Box of 6 We aim to answer all questions within 2-3 days. for submitting product information about Butterfly Skills Table Tennis Balls - Box of 6. We aim to answer all questions within 2-3 days. If you provided your name and email address, we will email you as soon as the answer is published. for submitting product review about Butterfly Skills Table Tennis Balls - Box of 6.